Rank: #8 out of 620. Michelin LTX MS are a very popular and one of the most expensive options. They're in the top 3 bestselling snow tires and have dozens of popular alternatives in the same price range, such as Goodyear Ultra Grip Ice WRT 275/55R20 or Nokian Hakkapeliitta 9 All-Season 225/40R18 92T . 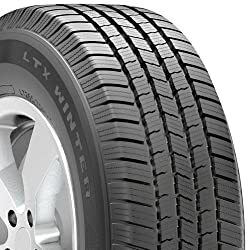 Michelin LTX MS are $128.66 more expensive than average snow tires ($134.23).